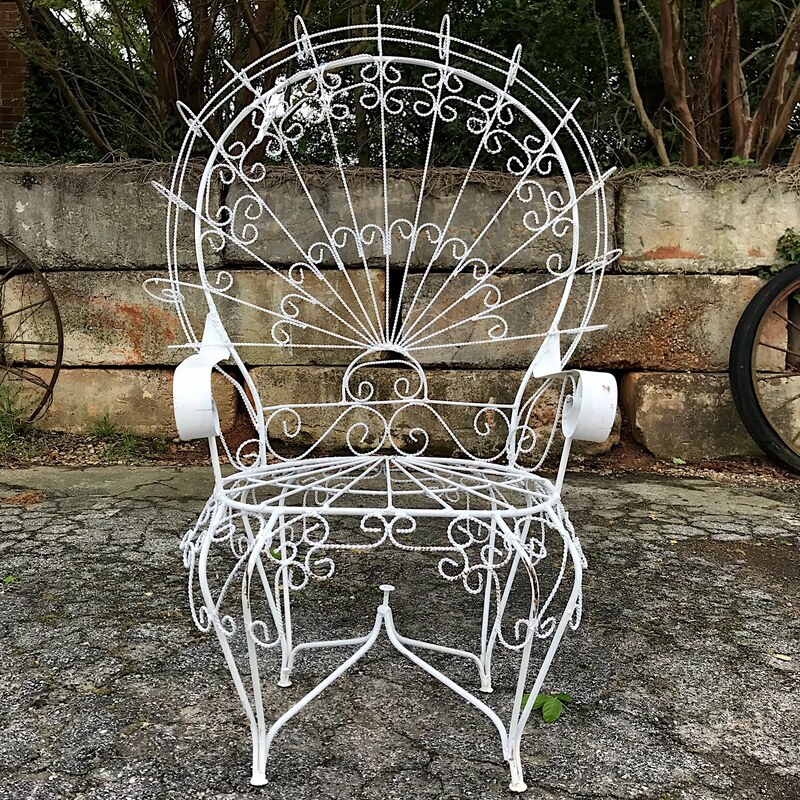 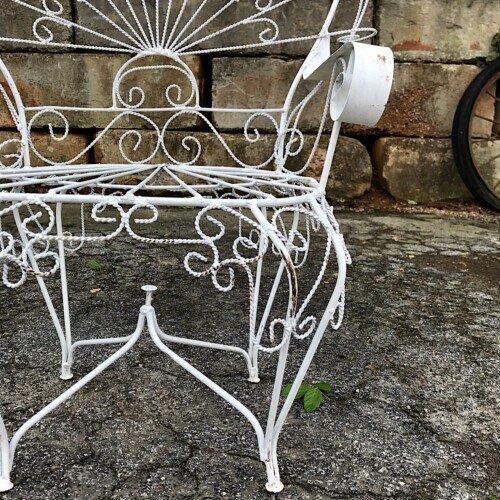 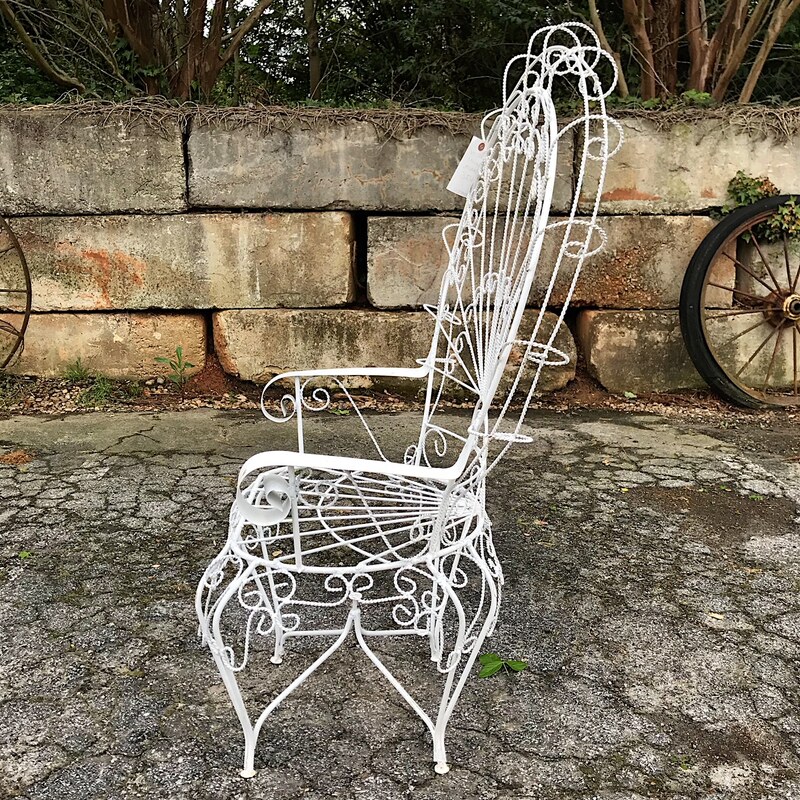 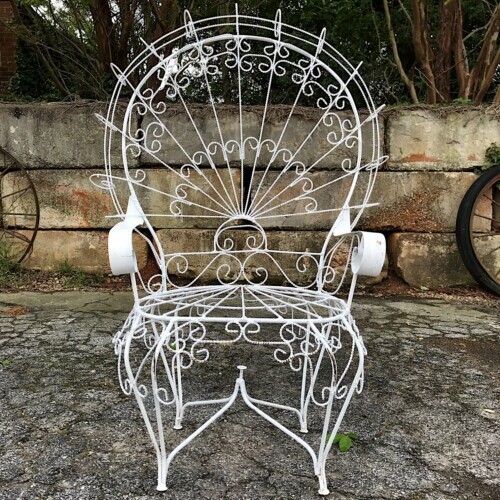 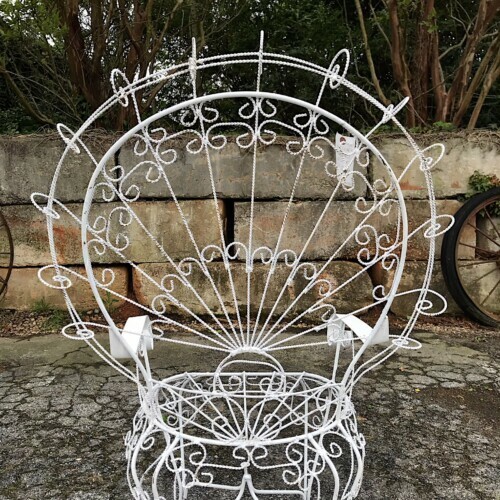 Featured here is a beautiful peacock style outdoor throne chair. 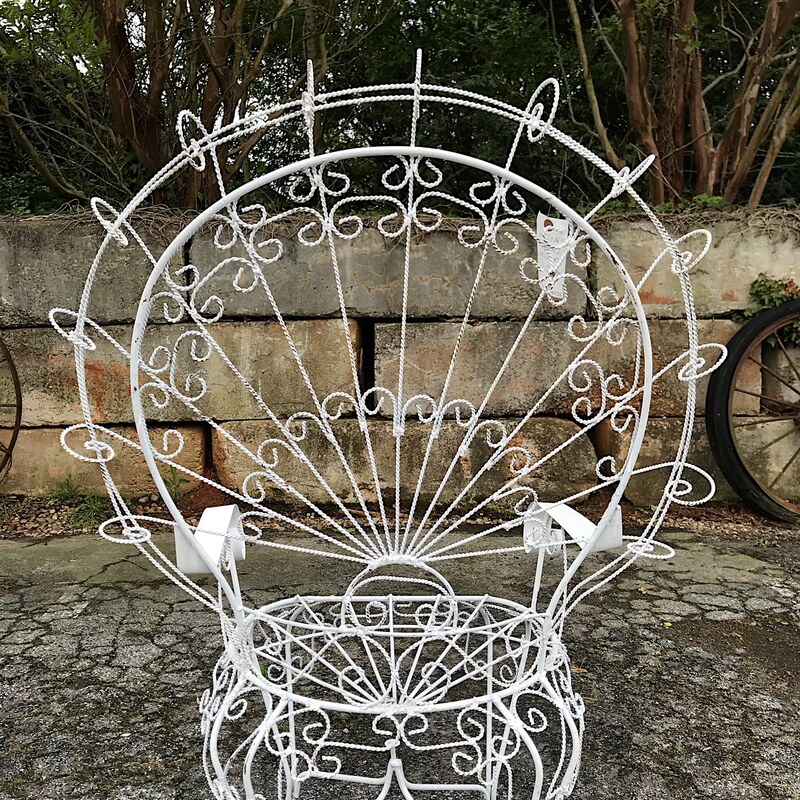 Made of braided and rod iron that has been wrought into sculptural shapes reminiscent of peacock plumes. 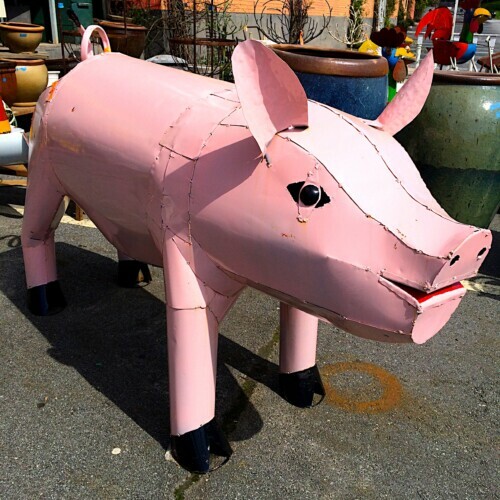 This majestic beauty will surely be the hit of your outdoor living space! 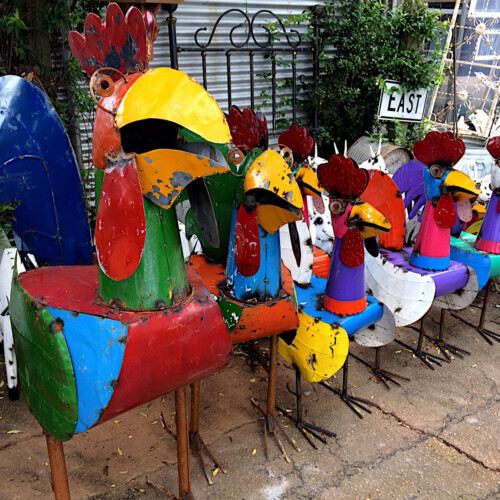 Sold individually, but multiples are available. 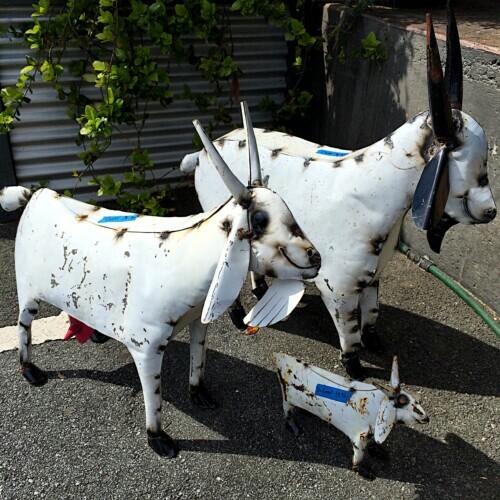 Please inquire about current stock amount. Will pack a lot of charm and character into any space! 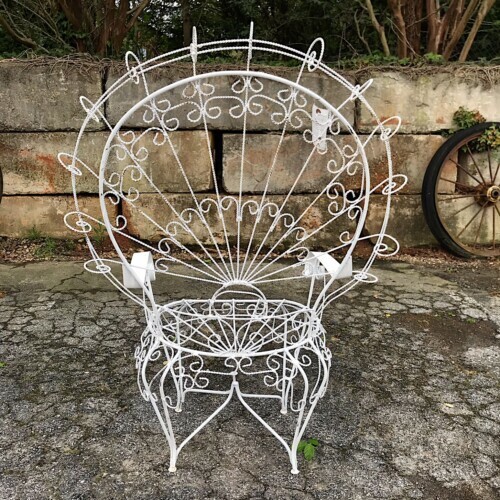 Measures approximately 49.5″ Tall x 34″ Wide x 20″ Deep.